Your slider is flat. You’ve lost a step. Your bat speed has slowed. These and more echoing observations of your physical state are part of the chorus that will one day inevitably usher you out of Major League Baseball. Earlier this month, Chase Utley, the longtime Philadelphia Phillies star and current Los Angeles Dodger, announced that he is playing his last season. One of the best second baseman of his era, he has, at 39, been relegated to a role player, frequently coming off the bench in tough situations. Most players like to avoid public assessments of their disappearing skills and future intentions, not to mention the question of whether a younger talent should be taking their spot in the roster. Chase got ahead of it all by eliminating the speculative banter. If you play long enough, this process will not spare you. As a teenage fan in New Jersey, I watched the Mets’ Dwight Gooden electrify the baseball world with his explosive fastball and mind-bending curve. In 2000, toward the back end of my career, Gooden was pitching his final season, for the Astros. I hit a home run off him (which was really cool). And it made me think about how time works in this game. This was not the 276-strikeouts pitcher from 1984 and my childhood. This was the end, and I got a glimpse of the cruelty of a former superstar grappling with everyone’s memory, including his own, of what used to be. The end is rarely voluntary. You inevitably become less productive or, at the very least, less a part of the future of your organization. But in the case of aging out, you have to become worse — substantially worse, usually — before you actually believe it to be so. By then, the decision may have been made for you anyway. With perspective, we realize that in baseball, change is all around us, always. Rosters are in constant turmoil. Teammates seemingly evaporate from one season to the next. Though when you finally have a moment to pause, you also recognize the game’s extraordinary quiet. It embraces the moments you take in to cherish your baseball family. Walking with your teammates across the pristine grass of Dodger Stadium on a perfect summer evening, on your way to the bus after a game. Or taking a break from shagging fly balls in the outfield during batting practice to just watch a great slugger hit for distance. It reminds you of the silence you notice when you are sitting on the bench during a rain delay and realize that no one has spoken for 10 minutes. Chase Utley’s career was far from silent. He is different from most players because he was his own era. He was a star. He adorned billboards and had a man-crush love letter written to him in the script of a Philadelphia-set sitcom, all while silently assassinating his opponents’ fastballs. He played hard, barely smiled, and ran you off the field. But he was a young player once, and it was to the Chase Utley of nearly 15 years ago that I gave the same advice given me by Mike Morgan at the end of the Chicago Cubs’ spring training in 1995. When I was sent down to the minor leagues despite a fantastic spring showing, Morgan assured me that I would be a big leaguer soon, that I just needed to keep doing what I was doing and someday maybe I’d even take his spot. It helped. Coming from a someone who had seen talent come and go, the advice gave me a sense that I belonged. So in 2004, when the Phillies sent Chase down to the minors from spring training, I offered him essentially what Morgan had offered me. As it turned out, 2004 would be my last season — and the year Chase was first seen as a future permanent fixture in M.L.B. stardom. But a former player understands the illusion of permanence. There is nothing more jarring than when a young player you once advised, and will always view as young, retires. This is your son graduating from college, it’s your daughter landing her first job … it’s the moment when you hope that your advice has relevancy beyond baseball. Retirement frames a career, the summation of ability and luck, timing and passion, but also advice and advisers. How a player approached his career, and how he leaves it, tells as much about his coaching as his talents. Utley had an illustrious career and in a few years is sure to be in consideration for the Hall of Fame. He also influenced the culture of the game, through his hard-nosed stoicism. Albeit ignominiously, he was the catalyst for the Utley Rule, which grew out of his aggressive style of play — specifically when, attempting to break up a double play during the 2015 playoffs, he broke the leg of the Mets’ shortstop Ruben Tejada. By the following season, a rule was implemented to protect infielders from base runners targeting them with hard slides. For me, he is also another tally on the former teammate retirement scoresheet, and soon there won’t be a single person I played with or against on a major league roster. I will grapple with what that truly means for years to come. I will wonder what it says about the impact I had as a player beyond the field. 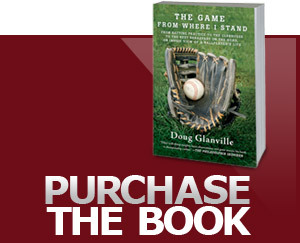 I will hope that baseball endures as the collective effort of all who have played and all who have supported the game. I don’t know who Chase mentored during his time, but I hope what I said to him in 2004 mattered, enough for him to understand that I was not just speaking for myself, but passing something down. A career in baseball is a full-time commitment, and beyond the physical erosion is the emotional toll of the selfishness of that commitment, the impact on your family. One way you try to cope with it is by parenting your baseball family — parsing yourself into many roles to fill in the voids, to remain an asset to the team and your teammates. To be an enduring asset, one needs a philosophy. In explaining his daily approach, Utley said, “I’ve always played it hard, played it like it was [my] last game.” It is only when you play that last game that you fully understand the importance of all the people who helped you play the first one. Photo: Chase Utley being tagged out while trying to steal second base during a game against the San Diego Padres earlier this month.